I had a great time with little Charlie at the Arboretum. She was at the perfect age for a session. She could sit up but not run away! I love this age so much and pretty much is my favorite time in life to capture as a photographer. The Arboretum was Alive with Fall Foilage, so the timing was just right. We could not have asked for a more lovely day in Asheville. It’s so SWEET of you to find my site. 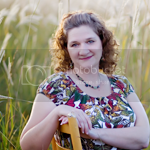 I am Julie Buckman, of JellieBeanz Photography. I am a children's photographer based in Hendersonville, NC. I specialize in color and black and white portraits of babies, children and family photography. As a professional portrait photographer in Western, NC, I love to photograph maternity, newborn, infant, baby, child, children, teens, high school seniors, family and families, and even special events. Serving all Hendersonville, Asheville, Brevard, Waynesville, Columbus, Flat Rock, Laurel Park, Greenville, Bat Cave, Lake Lure and Travelers Rest. I travel within the entire Western North Carolina and surrounding areas, including Henderson, Buncombe, Transylvania, Haywood, Rutherford, Polk and Greenville County. I specialize in on location and available light lifestyle photography. I really make it my goal to capture emotion and personality in my portraits.